It seems every article I read containing tips for new moms all started with the same thing- “Always accept help or free meals when you have a newborn.” But you know what Mamas, sometimes, it is better to say no. 2 weeks after giving birth I found myself in just that situation, and finally had to say no. And it is more than just ok to say no. You don’t need permission, but I’m going to give it to you anyways. 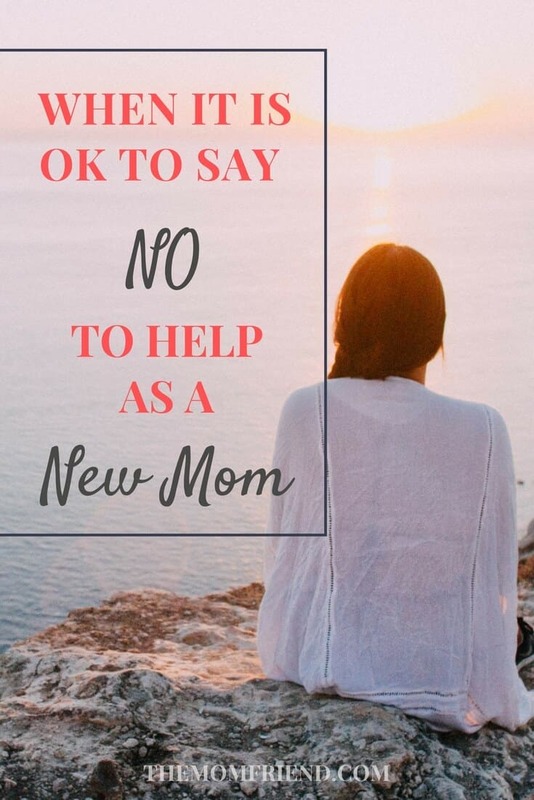 Sometimes it is better to say no, and not only is that 100% totally ok, but it might just be what you need to survive those first few chaotic weeks with a newborn. I was lucky enough to have family visit when my daughter was born, with my parents arriving the very next day and staying for about a week. 3 weeks later my sister flew out, and lavished me with special treatment by taking care of things like cooking and cleaning without me asking (that is a godsend for new moms- don’t wait for her to say what she might needs, give suggestions!). But in between I found myself in an awkward situation where help was being given and it caused a great deal of stress, and I felt myself heading to a breaking point. 2 weeks after our baby was born, my husband had to travel internationally for work, and was gone for a week. That was definitely a test of endurance for me as new mom. To make life easier, my church arranged a meal train for the week, with a group of wonderful and thoughtful women bringing meals to my door each day. 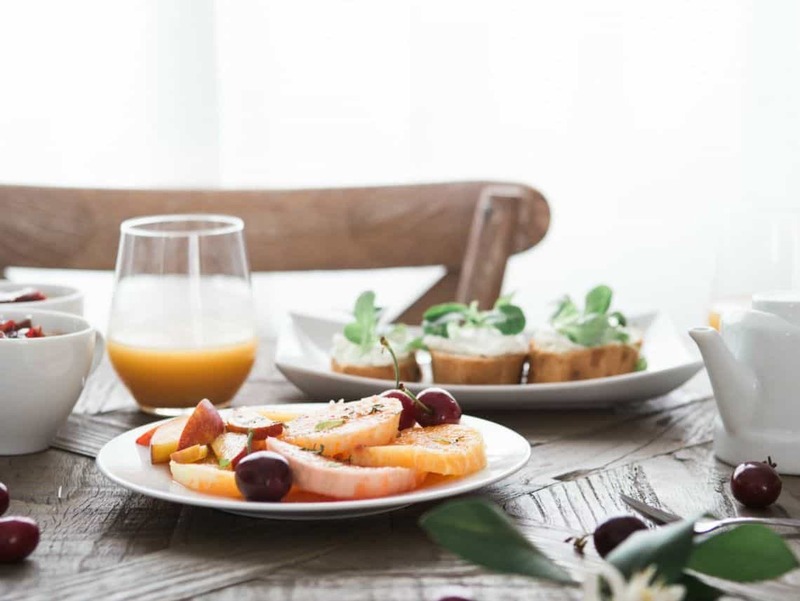 Having a meal prepared is one of the greatest blessings for a new mom, and I was showered with enough food for multiple days from each of the first few meals. However, it began to cause me great anxiety, despite the graciousness. You see, at the time, I had two extremely lovable but also extremely large and energetic dogs- a chocolate lab and a 160 lb Newfoundland- who both loved to greet visitors with lots of jumping and overly enthusiastic “hugs”. Add in a newborn who wouldn’t go down for a nap (until right before the knock on the door of course, sending the dogs into a fit, which of course woke her up), and I was one anxious mama waiting for the dinner delivery. With a 2 hour window for when the ladies might arrive, I began stressing out long before that. I was worried about whether or not the baby would be asleep when they arrived, whether my dogs would wake her up, how I would keep the dogs away from the visitors on my own, since shutting them in a bedroom wasn’t the answer (dogs locked away + obvious visitors = mass chaos and barking, which would of course, again wake up the baby- see a cycle here?). I thought about how my refrigerator was full of meals that were almost impossible to eat one handed when holding a baby, and worried about how I would store even more. I began feeling guilty for not feeling simply grateful. I toyed with the ideas of asking for less meals, or canceling, but worried about what the ladies would think of me. Would they find me ungrateful? Would they think I didn’t enjoy the food they spent time and money to prepare? I finally asked my sister via text what she thought, and she encouraged me to do what I felt I needed, and not worry about it. She gave me permission to say no. Reluctantly I reached out to the person organizing the meal train, and expressed how appreciative I was of the meals, but explain that I had already received plenty of food to last me for the week and was having a difficult time dealing with the baby and dogs. She was kind in response and let the others know. Immediately I felt a weight lifted off my shoulders. While I couldn’t control my baby’s sleep cycle (she had her days and nights confused and liked to stay awake all night in those first few weeks- eek! ), I was able to regain control of an anxiety-producing situation. Maybe it is someone who showed up to help out but is causing you more stress by trying to find them things to do. Let them sit and keep you company instead. Or see if they can come back at another (pre-arranged time). Or someone offers to do laundry for you, but the thought of your trashed laundry room makes your heart race (personal experience). Whatever the situation may be, if you are feeling stressed or anxious about another person’s kindness, understand that they are offering/doing/trying something in order to help you, but realize that they may not know how to best support you. You are the the only one who knows what you are going through, what might be helpful, and what might add more stress. By being honest with the person, and letting them know how much you appreciate them but stating that now is just not the right time, you are giving value to their efforts while still prioritizing your needs. 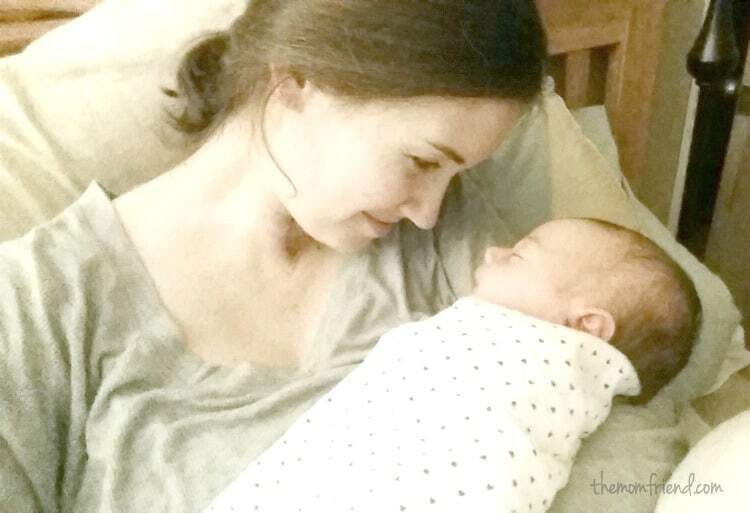 In those early weeks of motherhood, a new mama is tested and tried in so many more ways that expected. It is exhausted and exhilarating, stressful and joyful. And the extreme lack of quality sleep and vast range of emotions makes it hard to focus on ensuring your needs are met as you adjust to providing for the needs of your baby. By all means, accept help when offered- even if you are unsure of how it will make you feel to have others help. It can be a major blessing and will likely help you get through one day at a time. But if you find yourself in the position I did, where the generous offers of help are creating more stress than what they alleviate, then say no. Great Post, Yes its okay to say No and not over obligate your time. Best to you on your new blog! Thanks so much for stopping by and wishing me well!